Alex Jones explains why Bob McDonnell and Dinesh D'Souza are political prisoners. 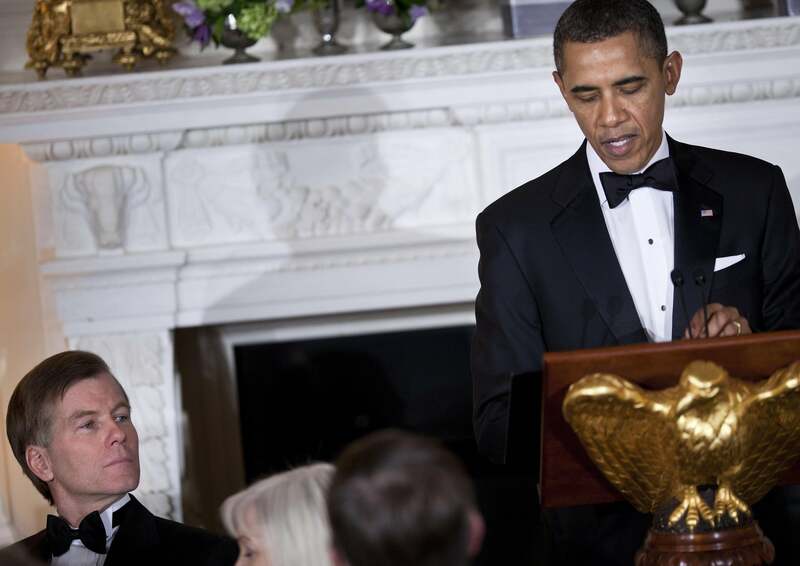 President Obama announces he will be purging guest of honor Bob McDonnell. America’s favorite truth-telling radio host was so bothered by last night’s arrest of Dinesh D’Souza (on charges related to alleged illegal donations to a doomed New York Republican candidate) that he recorded a special YouTube message. It’s one of my favorite videos of the year, between Jones’ observation that you can’t have “the corrupt prosecuting people for crooked toenails” and his bonus conspiracy theory that the lying media refuse to credit D’Souza’s 2012 Obama documentary as the most successful political documentary of all time. They/we in the media only refuse to because Michael Moore’s Fahrenheit 9/11 was far more successful.